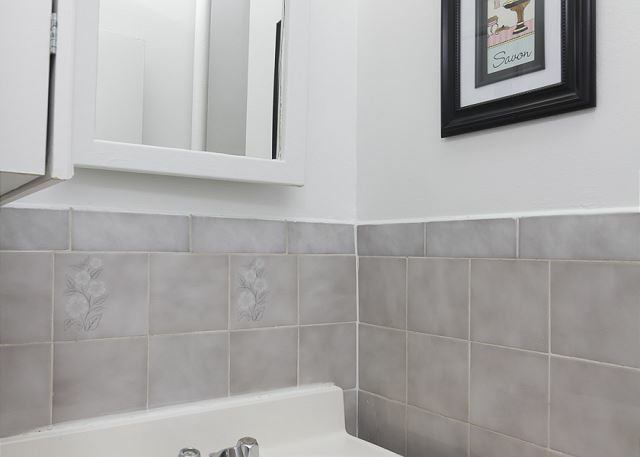 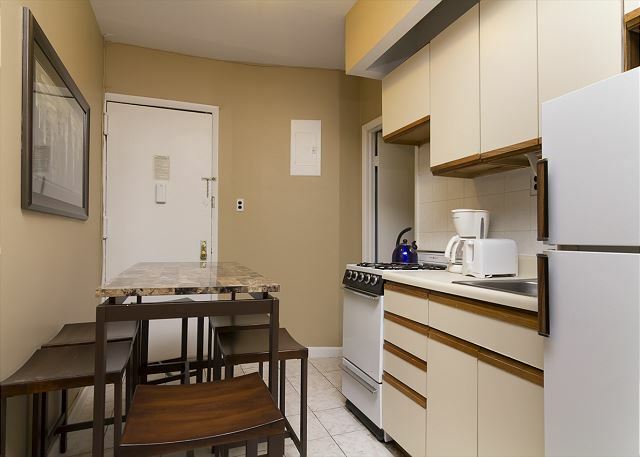 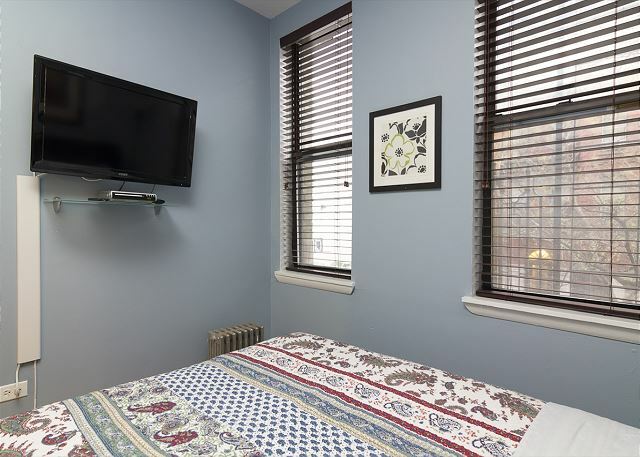 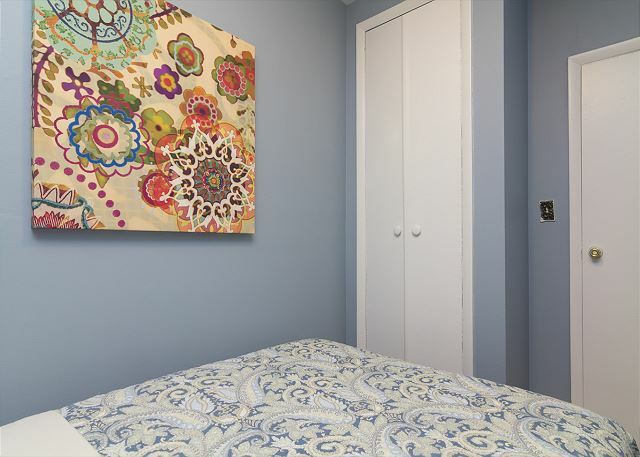 This charming 3 bedroom apartment is a great choice for your upcoming visit to the Big Apple. 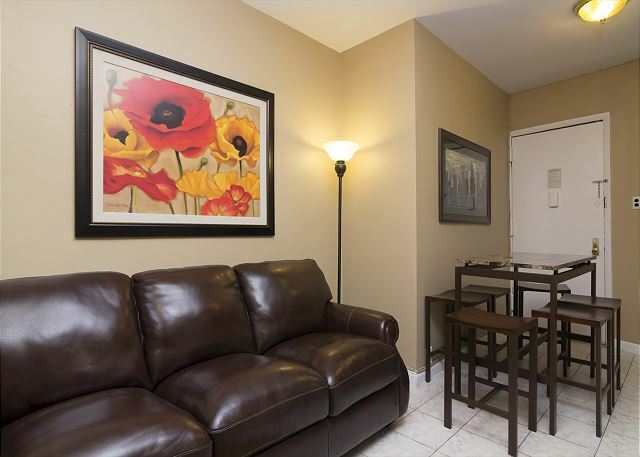 The living area includes a high quality, chocolate brown leather sofa with a matching coffee table, and a flat screen TV. 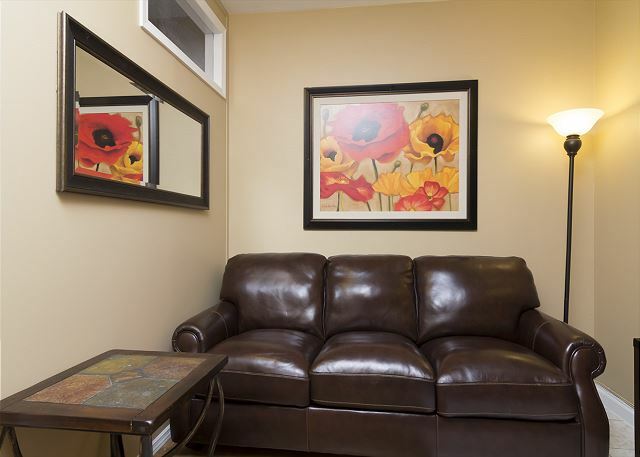 Not only a place to relax, but the couch pulls out into a bed to provide additional sleeping space. 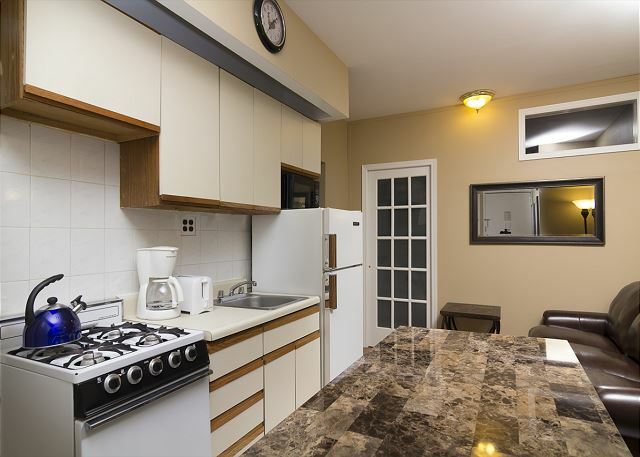 Adjacent to the living room is the kitchen and dining area. 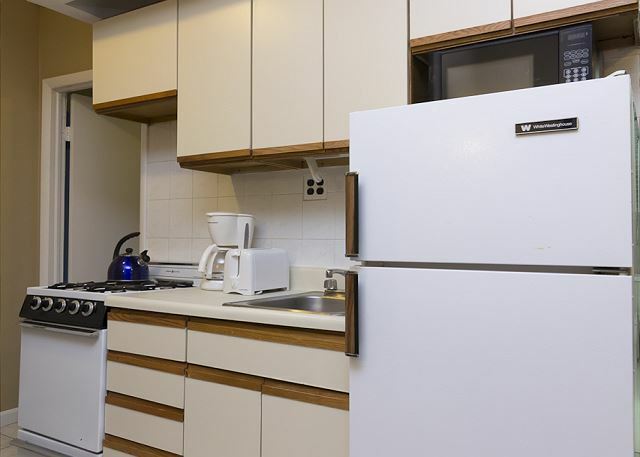 The kitchen comes equipped with appliances and utensils for all your dining needs. 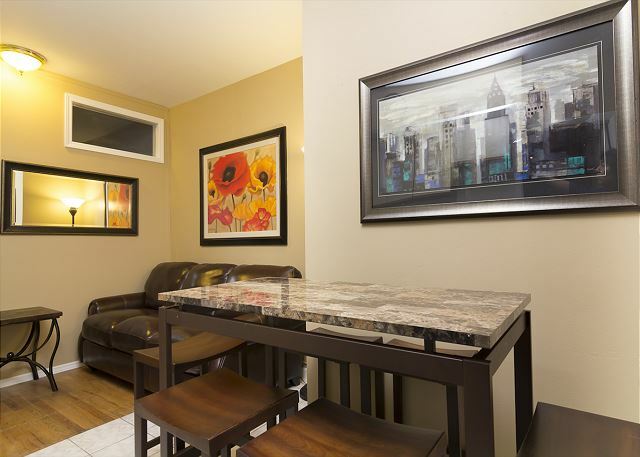 In the kitchen area is a beautiful dark wood table with granite top and seating for up to 6 people. 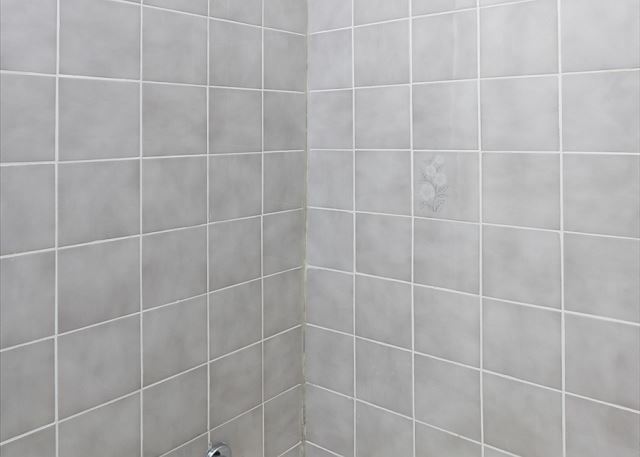 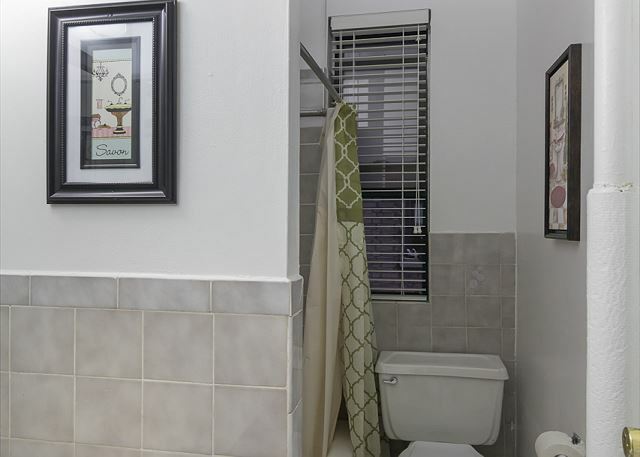 The bathroom comes with provided towels, two vanity mirrors and a shower that doubles as a bathtub. 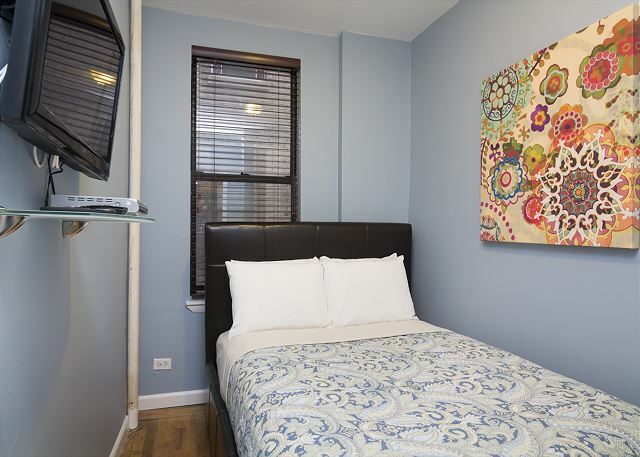 The first bedroom, with closet space for your belongings, features a full sized bed on a beautiful chocolate brown leather wrapped platform bed frame. 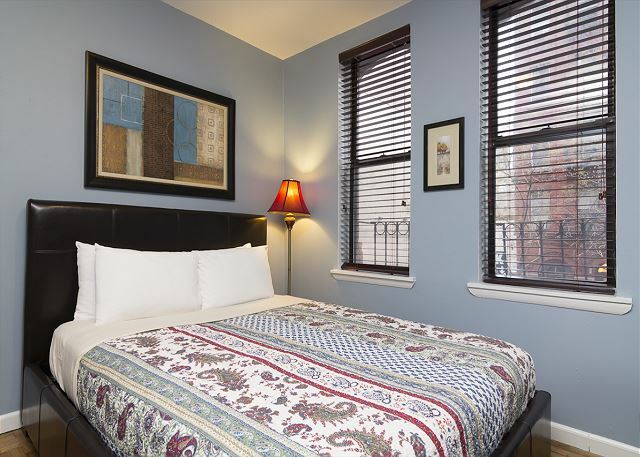 The 2nd bedroom is similar and has a queen sized bed on the same leather wrapped platform. 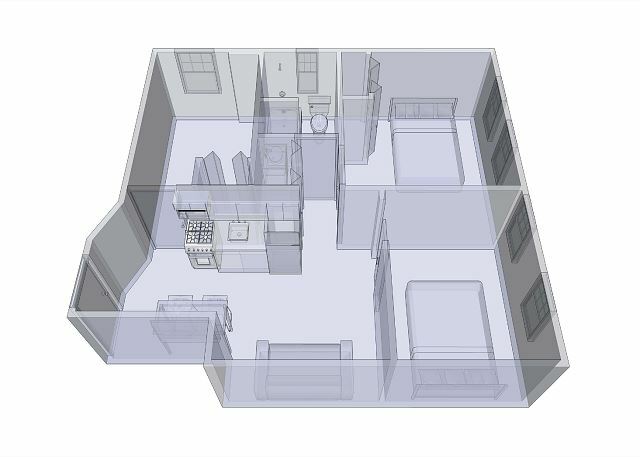 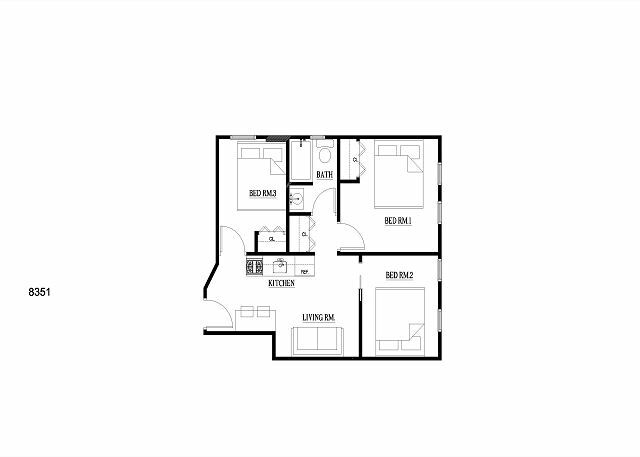 The 3rd bedroom features a queen sized bed and in addition to closet space, this bedroom has a 6 drawer vanity dresser for even more storage of your belongings. 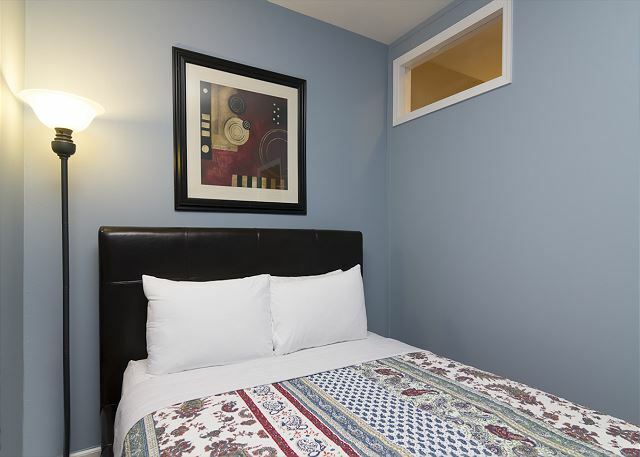 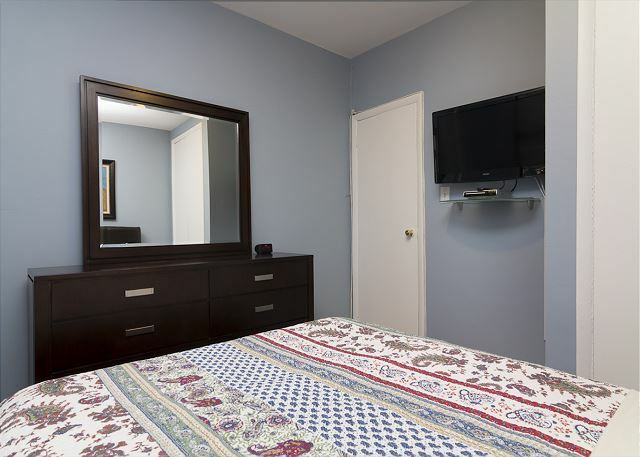 Each bedroom comes with provided linens and wall mounted flat screen TV’s. 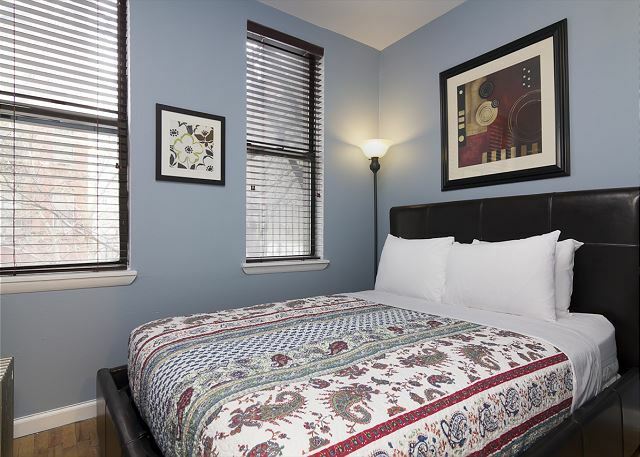 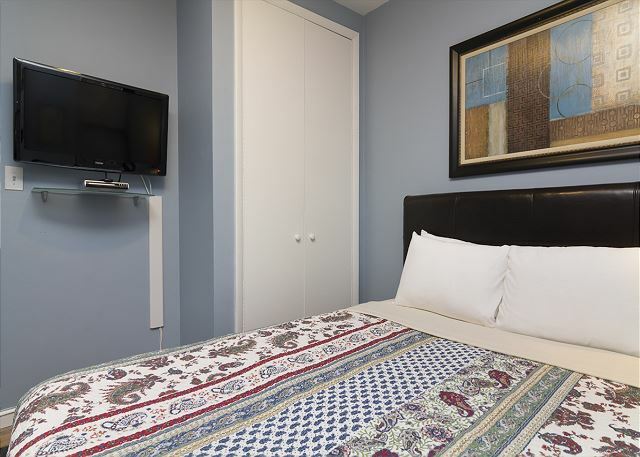 Centrally located in the city and a few blocks away from Time Square, this is a great choice for you stay with us in NYC!